Today’s post features a growing trend I’ve observed over the last few years: the strategic alliance between hit toy makers and Hollywood. Capitalizing on nostalgic young adults, numerous toy makers have sold the film rights for their merchandise. Major board game manufacturer Hasbro has a major motion picture deal with Paramount to develop their properties into big budget movies but I will be detailing the rash of board game adaptations in a follow up post. Below, I’ve listed all known projects based on popular toys that have been made into a feature or are in the development process. Transformers: The Transformers franchise have been the most successful toy adaptation to date. The Hasbro toy line began with two warring species of alien robots, the Autobots and the Decepticons. What made these toys so fantastic was their ability to change from a vehicle or other inanimate object into a robot and back again. The line originated in Japan and was introduced to US children in 1984. There have been a slew of adaptations, including a Marvel comic book series and an animated TV series that ran from 1985-1987. In addition, a full-length animated feature Transformers: The Movie aired in 1986. The first live action Transformers film came out in 2007, directed by Michael Bay and produced by Steven Spielberg. The film was about an awkward teenage boy Sam Witwicky who becomes caught up in the alien war and must help the Autobots defeat the evil Decepticons. Despite criticism that the movie put too much emphasis on humans versus the robots, the film was a box office hit. Actors Shia LaBeouf and Megan Fox became huge stars as a result. The sequel Transformers: Revenge of the Fallen was released in 2009 and the final film in the franchise, Transformers: Dark Side of the Moon, was released June 2011 in 3D. These live action films are important because they proved to Hollywood that making a commercially successful film based on a toy was possible. Thanks to the success of the films, the Transformers brand has been revitalized. The animated series Transformers: Prime began airing episodes in 2010 on The Hub. G.I. Joe: G.I. Joe is a series of action figures created by Hasbro. The figures were first released in 1964 and were originally realistic 12 inches tall figures (see picture above). G.I. Joe was responsible for coining the term “action figures” because toy makers believed boys wouldn’t play with dolls. As my mother used to say, “G.I. Joe is the male Barbie”. In the 1980s, the line was relaunched with smaller figures at 3 3/4 inch figures and a complex back story. G.I. Joe and his team fought the terrorist Cobra Command for the safety of the Free World. There have been many adaptations of this toy series including comic books, animated TV series, films, and video games. The most recent movie G.I. Joe: The Rise of the Cobra came out in 2009. Channing Tatum stars as Duke, the leader of the G.I. Joes and Joseph Gordon-Levitt is the Cobra Commander. This big budget film grossed $302,543,074 worldwide. The sequel G.I. Joe: Retaliation comes out in 2012. He-Man and the Masters of the Universe: Masters of the Universe is a Mattel toy franchise. The franchise stars hero He-Man who lives on planet Eternia and fights Skeletor. These toys inspired a popular animated TV series which ran from 1983-1985. 1987 live action movie Masters of the Universe was the first feature film adaptation attempt. There have been rumours of a new movie, Greyskull, for a very long time but no progress has been made. The script has been circulating Hollywood, being written and rewritten. Preadators screenwriters Mike Finch and Alex Litvak are currently attached. It will be intriguing to discover how they will develop this project, but I don’t think we’ll be seeing it any time soon. 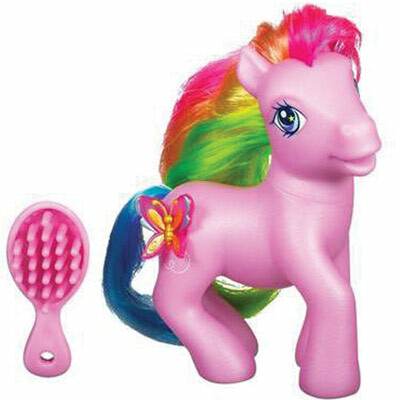 My Little Pony: My Little Pony is a Hasbro line of colorful toy ponies aimed primarily at girls. Each pony has a distinctive symbol on their hip and is usually named after that symbol. The original ponies launched in 1983 and ran until 1995. They were adapted into multiple TV series and animated films. The first TV series was My Little Pony which ran from 1986-1987. My Little Pony: The Movie also came out in 1986 and bombed at the box office. 1992 TV series My Little Pony Tales anthropomorphisized the ponies who lived just like human children. 2003-2009 brought a rash of direct to DVD movies starring the ponies in a series of adventures. The latest animated TV series My Little Pony: Friendship is Magic premièred October 2010. Despite being targeted to younger audiences, the new show has a large following of older viewers both male and female. Older male fans are called “bronies“. Unrelated to the television shows but too good not to share, artist Mari Kasurinen designs major film characters as My Little Ponies. The Guardian has a slideshow with some of her works such as Princess Leia and Kill Bill Bride. Lego: The popular building blocks have just been given their chance to shine on the big screen. Warner Bros. recently greenlit the upcoming animated/live action hybrid Lego for release in 2014. In development since 2008, the film was originally conceived as a family comedy. No further plot details are known for this action-adventure set in Lego world. Writer-Director team Phil Lord and Christopher Miller (Cloudy with a Chance of Meatballs) are helming the project. Casting begins in January. The WB and the Danish toy manufacturer have been partners for several years on the production of Batman toys. This July, it was announced at Comic Con that Lego will have access to the entire DC Universe for future toy production. 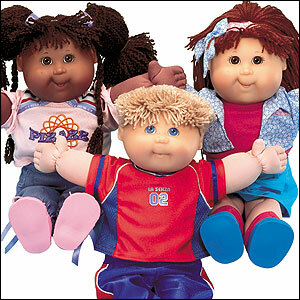 Cabbage Patch Dolls: An animated TV movie is planned for these oddly compelling, so-ugly-they’re cute dolls. Original Appalachian Artworks (the owners of the Cabbage Patch brand) sold the rights to producer Galen Walker. Cabbage Patch Dolls were an intense 1980s fad that caused riots among parents desperate to find one for their children. TV movie The Cabbage Patch Kids Christmas Special aired in 1985. A script is being written, but no air date yet. Only time will tell if there’s an audience for this movie that will revive sales. Rubik’s Cube: In November 2010, Hollywood agency CAA snapped up the film rights for the classic puzzle. Surprisingly this is not the cube’s first go at being adapted. 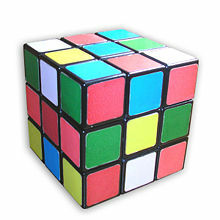 In the 1980s, there was a Saturday morning cartoon about a magic Rubik’s cube discovered by a group of children. I haven’t been able to find anything else on the movie, so unsure if the project is dead or still active. View-Master: DreamWorks acquired the rights from Mattel for a View-Master film in 2009. View-Master was created in 1939 as a way for viewers to enjoy 3D stereograms of popular tourist attractions. It was introduced at the New York World’s Fair and intended to replace postcards. In the 1960s, the View-Master was re-marketed as a children’s toy and took off in popularity. Alex Kurtzman and Roberto Orci are set to produce the new movie. Fringe screenwriter Brad Caleb Kane has been asked to write the screenplay. Magic 8-Ball: The Magic 8-Ball is a fortune-telling toy sold by Mattel. Created in 1950, the classic black and white ball has 20 potential answers for any question you ask of it. A romantic comedy with the iconic toy was first discussed at Universal in 1996, but it was Paramount who acquired the film rights in 2010. The current project is set to be an action-adventure film. Screenwriters Jon Gunn and John Mann have been hired to write the script. Stretch Armstrong: Stretch Armstrong was a blond haired, buff male action-figure introduced in 1976. He is most famous for his flexible arms, which can be pulled up to 4 or 5 feet. In 2013, the movie Stretch Armstrong is coming to theatres near you. Universal Studios acquired the rights from Hasbro back in 2008. The screenplay was written by Nicholas Stoller and will be produced by Brian Grazer (the guy who is taking over the Oscars this year). Twilight hunk Taylor Lautner is set to star as the toy itself. This 3D superhero movie is about an uptight spy who discovers a stretching formula and must deal with the repercussions in everyday life and while fighting crime. Last updates on this movie come from Lautner himself, who revealed that the screenplay is still being written. 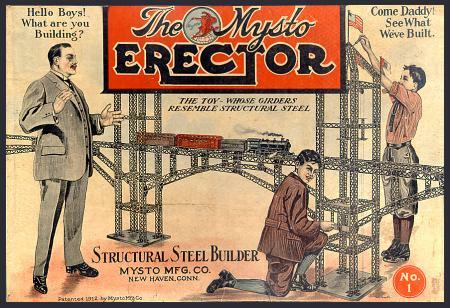 Erector Set: The Erector Set is a toy construction set first created in 1911. It was the first toy in America to have a national advertising campaign and was inducted into the National Toy Hall of Fame in 1998. In 2010, production company Helix Films bought the feature film rights from Meccano Toy Company. They are planning a 3D fantasy adventure story suited for family entertainment. The untitled project is currently in development for a 2013 release. 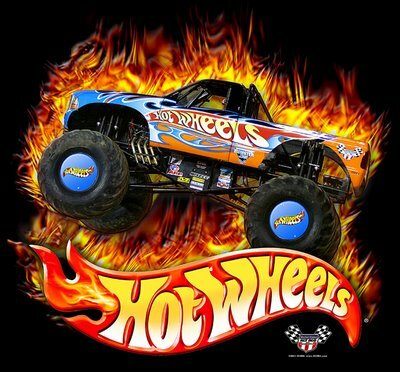 Hot Wheels: Hot Wheels is a brand of miniature toy cars created by Mattel in 1968. Warner Bros. Legendary Entertainment is planning turn the Mattel toy line into a hard-hitting action film. Despite this being a children’s toy, Legendary wants to make this movie the next The Fast and Furious. I don’t know how they intend to differentiate themselves from the thousands of other racing movies out there without a strong story but I welcome the opportunity to be proven wrong. No details on the project yet but IMDB has this film listed for release in 2015. Monster High: Monster High is a recent Mattel invention, a gothic Barbie doll collection of sorts released in 2010. The quirky characters in this series are the children or relations of famous monsters such as Frankenstein, Dracula, Werewolf, Zombie, and Medusa. Already Mattel has been on the adaptation campaign for these dolls. In 2010, the website for the collection had an online series titled Monster High. The dolls have also been adapted into a book series written by Lisi Harrison. 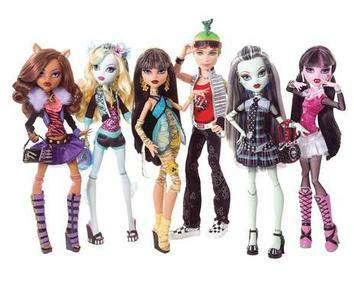 A video game Monster High Ghoul Spirit was released 25 October 2011 for Nintendo. Universal Pictures has acquired the film rights to create a live-action theatrical musical based on the Monster High characters. The movie is being described as Beetlejuice meets The Addams Family set in high school. Award-winning producers Craig Zadan and Neil Meron (Hairspray, Chicago) will team with writing pair Alfred Gough and Miles Millar (Smallville) on the film. The film is set to be released in 2012. Major Matt Mason: Major Matt Mason was an action figure created by Mattel in 1966 and discontinued in the mid 1970s. He was an astronaut who lived and worked on the moon, 3 years before the real moon landing. The live action 3D film is being produced by Tom Hanks’ company Playtone Productions with a $100 million budget. Tom Hanks is attached to star as the toy and Robert Zemeckis is in talks to direct. The film is a pet project of Hanks who loved the action figures as a child. Hanks co-wrote the screenplay with Graham Yost for Universal Pictures. Max Steel: Max Steel is a Mattel action figure who made his debut in 1999. He is essentially a teenage Bionic Man who fights enemies as a secret agent. 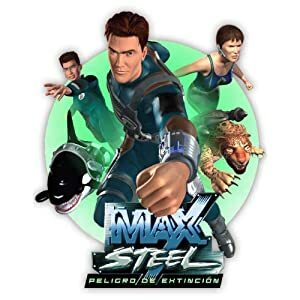 Although he is not very well known to US consumers, Max Steel is successful worldwide. The action figure was made into an animated TV series that ran from 2000-2002. There have also been direct to DVD animated films available in Latin America. In 2009, Mattel sold the rights to Paramount to adapt the action figure into a feature film. Joe Roth is attached to produce. Taylor Lautner was to play Max Steel, but he left the project to play Stretch Armstrong. No word on his replacement. Barbie: The world famous beloved Mattel doll may be coming to the big screen before we know it. In 2009, Universal Pictures announced they had acquired the rights for a live action film based on Barbie. The move coincided perfectly with Barbie’s 50th birthday. The series has no less than 30 odd direct to DVD animated films but I believe this will be the first live action film. No details on writer or director yet, but Laurence Mark (Dreamgirls) is producing. 90210 hottie Trevor Donovan is in talks to play Barbie’s long term boyfriend Ken. But who should be Barbie? I vote Taylor Swift. Think what you may about adapting toys into movies, but it appears this trend won’t be going away any time soon despite the current fairy tale trend. For studios, these movies are a logical step as there is already a built-in audience and merchandising tie-in. For audiences, there’s childhood nostalgia associated with these toys. Writers die a little inside at the thought of their original works being passed up for toy properties, but I view these projects as a challenge. What toy would you adapt and how would that project look like?